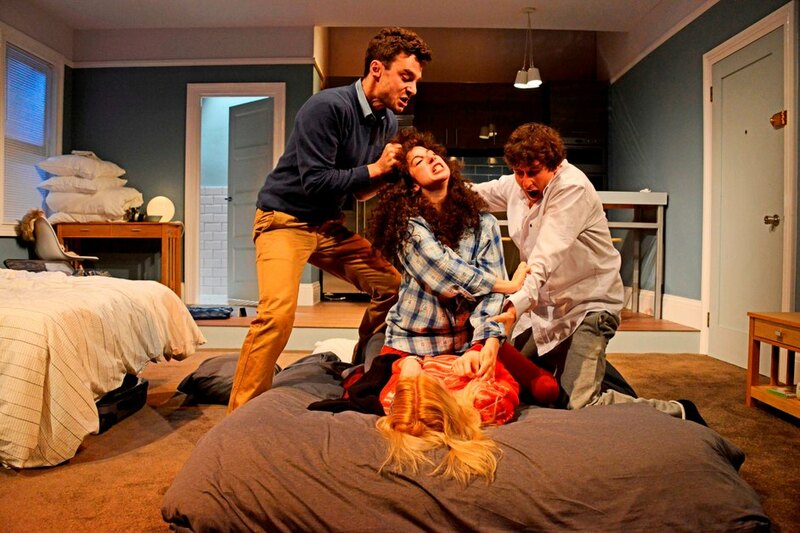 The best selling play to date at both the Ustinov Studio in Bath and St James Theatre, the Theatre Royal Bath production of Joshua Harmon's Bad Jews transfers to the Theatre Royal Haymarket for a limited six week run in 2016. Set in a cramped Manhattan apartment, the two main antagonists - cousins Daphna and Liam, a self-styled "bad Jew" - "go at each other hell-for-leather" (The Guardian) on the night after their grandfather's funeral. Jenna Augen who plays Daphna won the Best Supporting Performance category at the UK Theatre Awards for her part in this "scaldingly funny and penetrating comedy" (Telegraph). What are the best dining options near Bad Jews London? Bad Jews gyms, sporting activities, health & beauty and fitness. The best pubs near London Bad Jews. Bad Jews clubs, bars, cabaret nights, casinos and interesting nightlife. Where to have your meeting, conference, exhibition, private dining or training course near Bad Jews. From cheap budget hotels to luxury 5 star suites see our special offers for Haymarket Theatre Royal hotels, including Radisson Blu Edwardian Hampshire Hotel from 89% off.